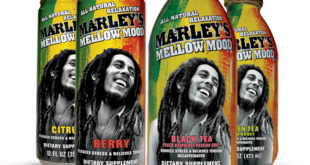 Caroline Mickler, the UK licensing agency for The Beatles and Yellow Submarine brands, has brokered a new deal with FieldCandy for the iconic animated movie. 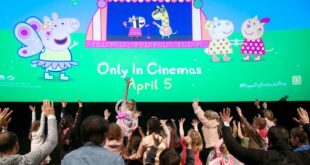 The range has been launched to coincide with the recent release of the Yellow submarine movie and as part of the film’s 50 anniversary celebrations. 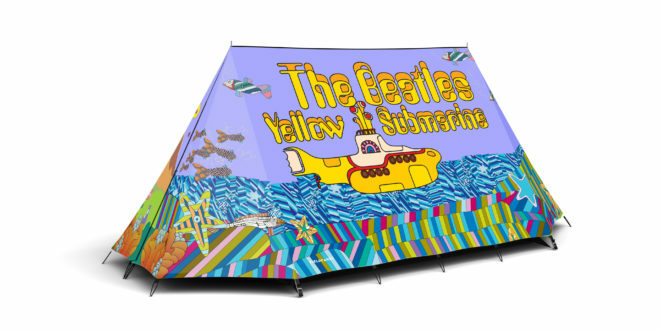 The centrepiece of the range is a tent illustrated with images inspired by the animated classic, including the four cartoon Beatles, the logo and the submarine itself. Additional items include a cub camping table stool, a tube camping table stool, a camping pillow, a sunshade, windbreak and a bag for the tent. Andy Utting, managing director, FieldCandy, said: “The images produced by Yellow Submarine are as instantly recognisable, amazing and inventive today as thy ever were.